Hi guys! 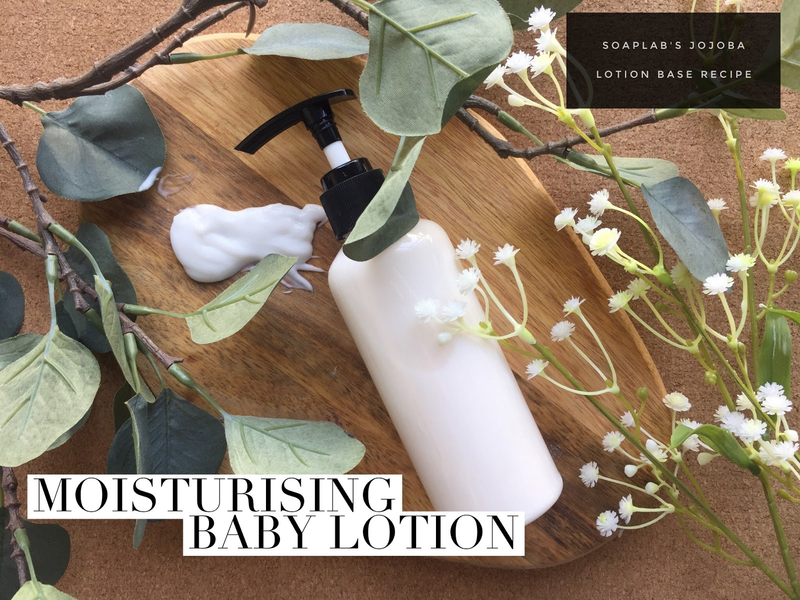 In our baby product series, we made everything from body wash, shampoo, oils, lotions.....yes, we really take the time to do the research and testing at SoapLab so that you don't have to. Just follow our tips, and you have ready to sell products. So today's recipe is a moisturising lotion for your little one. After shower, this is definitely a must have. In a lotion, we want something thats soothing and keeps your baby cool and comfy throughout the day. So to do this, our most important ingredient is calamine powder. It's cooling, it soothes your baby's skin... perfect. Next, we focus on moisturising ingredients and to do this, we use SoapLab's special jojoba lotion base plus cocoa butter. Your cute baby smelling slightly like cocoa...mmmmmm! But no, we are not leaving everyone's babies to smell like food, we use Baby Powder fragrance oil here haha.